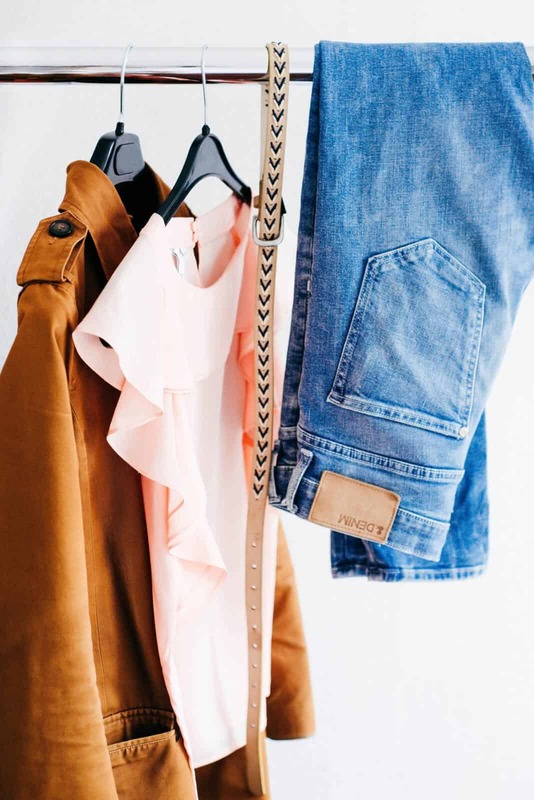 Our closets are jam packed with clothes, yet it’s easy to convince ourselves that we have “nothing to wear.” Shirts from concerts we attended, bridesmaid dresses, “before-kids” jeans that we will never fit our hot mom bods in again — these all need to go! There’s no point in cluttering our space and overwhelming our senses when we open the closet door. We need to keep it simple. How do we do that? A checklist! 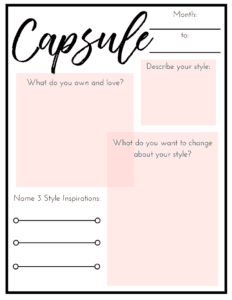 The capsule wardrobe fad is popular for a reason! As mamas, especially, we need quick and easy go-to outfits year-round. Some people call a comfy, practical, everyday outfit the “mom uniform.” Find clothes you feel great in, ones that mix and match, and throw out all the rest! 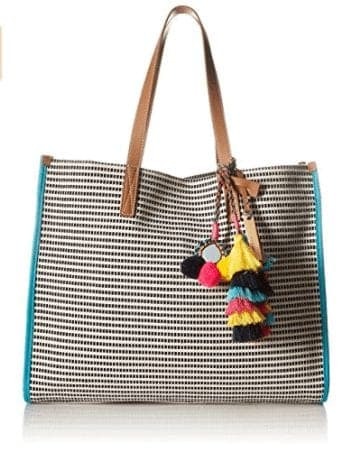 Instead of going out and buying the trendy clothes, sort out the classic pieces you already have! 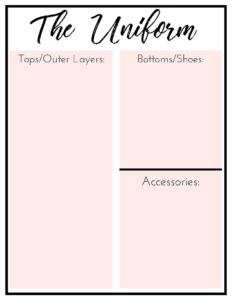 To take it a step further, check out our Capsule Wardrobe planning sheets in our Etsy Shop! 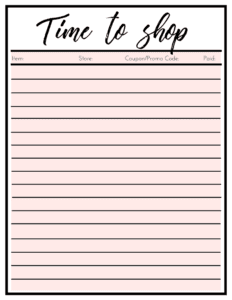 Before you start shopping, spend some time planning with these worksheets, so you can create a wardrobe with intention and be sure you love every item in your closet! Cross out sections of the worksheets, add new ones, scribble, and play around until you feel good about the end results. Remember, the key to a capsule wardrobe is choosing items you love that also work great to mix and match. 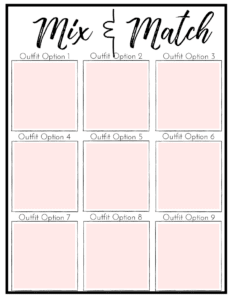 You want your closet to be simple so you can reach in and pull out various items that create multiple different outfit options! Pull out pieces that you already have and love. 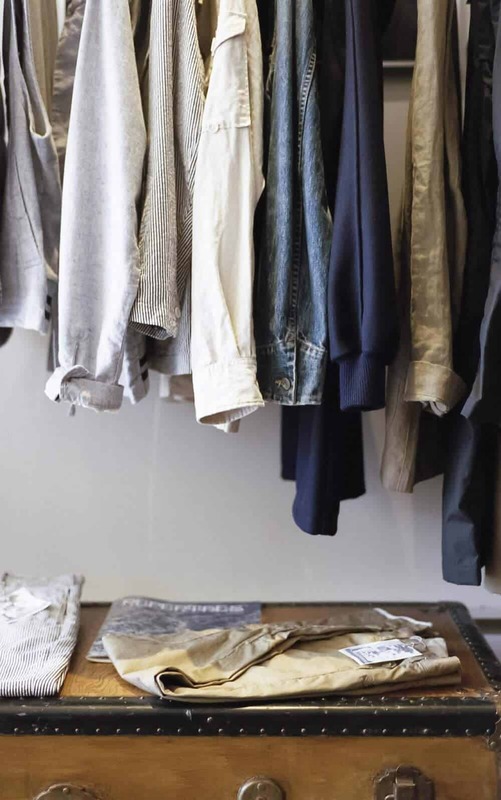 Don’t forget that you don’t have to replace your entire wardrobe! 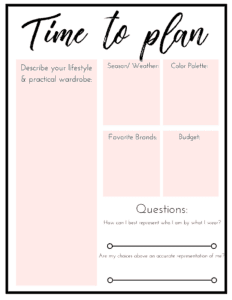 Use the worksheets to brainstorm color palettes, style preferences, brands you love, and more! 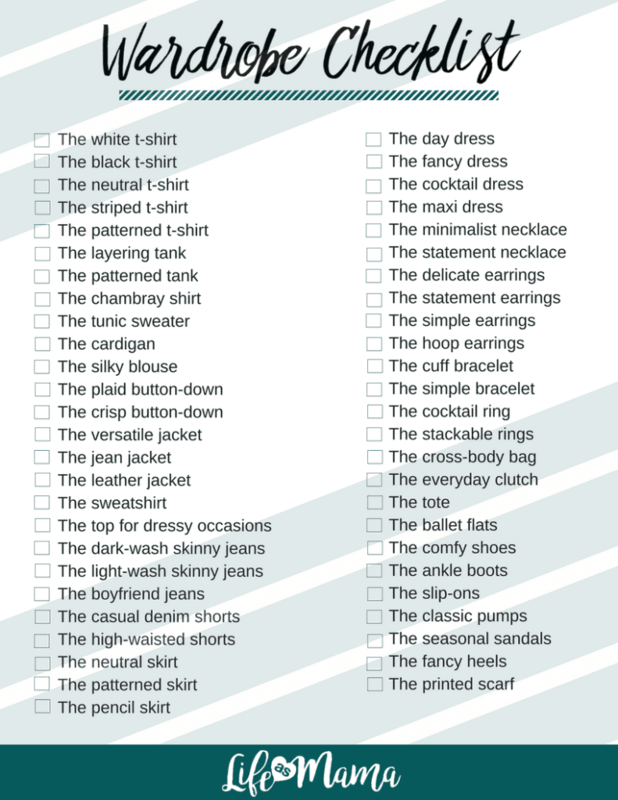 Oh, and don’t forget to write down names of those you are envious of “fashion-wise” and describe why! You may realize that it’s not their exact style you love, but really it’s the confidence and the fact that those pieces accurately represent the person wearing them. Think through the details of the season you are planning. What will the weather be like? Any special events coming up that requires a special outfit? 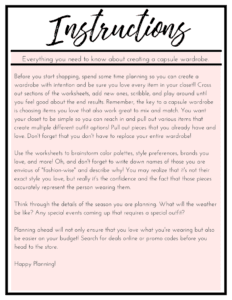 Planning ahead will not only ensure that you love what you’re wearing but also be easier on your budget! Search for deals online or promo codes before you head to the store.